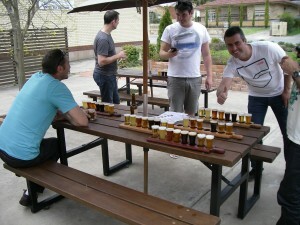 South Australia has a great selection of Micro Breweries and it is great to incorporate some of these breweries into your wine tours. Adelaide Hills, McLaren Vale and the Fleurieu or the Barossa are some of the regions that you will have an enjoyable day of visiting the craft brewers. Here at Adelaide RT Mini Bus we supply a Mini Bus and driver at an hourly rate for you to enjoy a day in these regions, we leave the booking of the venues and organising of the Liquor Licence to you, the organiser of this day. Limited Liquor Licences are available if you agree to our terms and conditions and strictly follow the terms and conditions on the Limited Licence. All of the Craft and Micro Brewers charge a taste fee for groups to visit and as the weekends are extremely busy you will be required to book your group in and pay deposits at some of the venues to secure a time slot for your group to visit. We stress that the venues are in the business of selling and promoting their products and not hosting parties in the venues, good behavior is essential at all times on our tours, we discourage Hens and Bucks Days “parties”. This is a typical 8 hour day of touring but you may increase or decrease the time of your bus hire if you wish and will be charged accordingly. To secure your booking we require a deposit to be paid and full payment will be required 7 days out from the tour. A refundable security bond is also payable. Once you confirm your booking with us we will send you payment details for your deposit ( this can be by EFT or Credit Card, fees apply on all credit card tranactions) and once your deposit is paid you can make the bookings at venues and organise your liquor licence. Follow the link below to organise your Liquor Licence- our office will supply you the bus rego once your deposit is received. Please make sure you red the terms and conditions.